All films are in Italian and subtitled (English or Italian). The screenings include a brief discussion on the characters, plot, and themes that the movie explores. PRICE: $30/ticket OR $120 for a package of 5 tickets (to be selected in advance). RSVP: Registration will be closed 7 days prior the screening date. do you have a schedule for May? 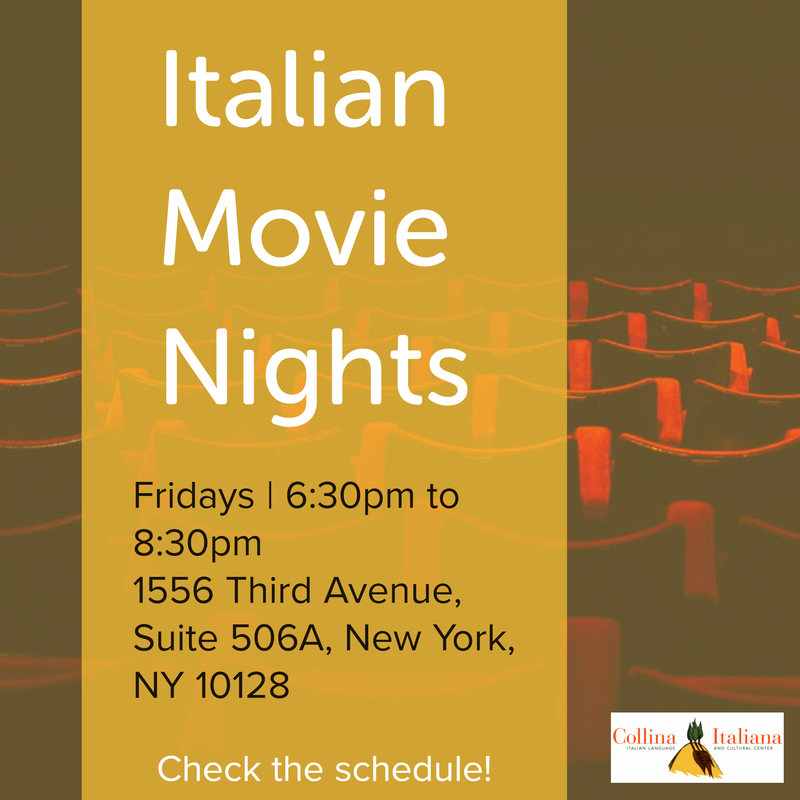 you can send us an email at info@collinaitaliana.com and I will keep you posted if we will schedule a movie night in May. Please put me on your mailing list, too. Patrizia, I’m interested in attending some of these. Please put me on your mailing list although I think you already have my information. We will definitely keep you posted! Grazie Elide! We hope to meet you soon! Please email any info about Italian events and happenings. Thank you for you interest in our Movie nights program! We will definitely keep you posted! Will the films have subtitles? Hello! Thank you for your interest in our Movie Nights! 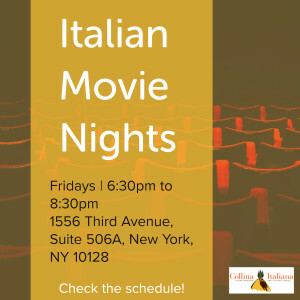 All films are in Italian and subtitled. The screenings include discussions on the director, characters, plot, and themes that the movie explores.